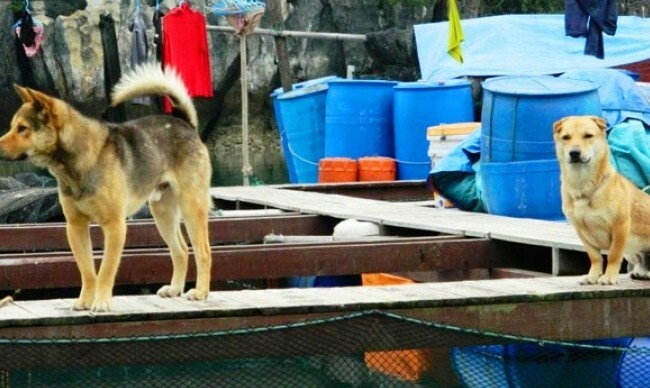 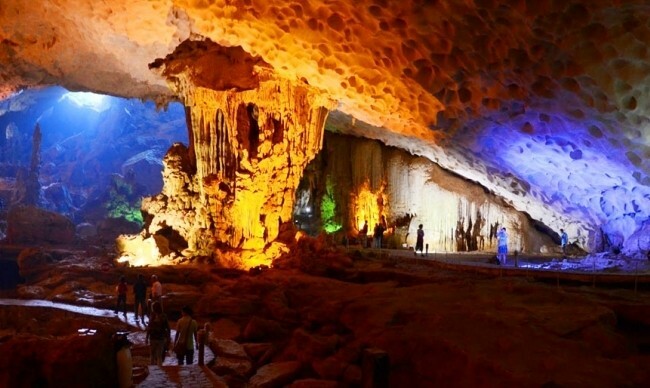 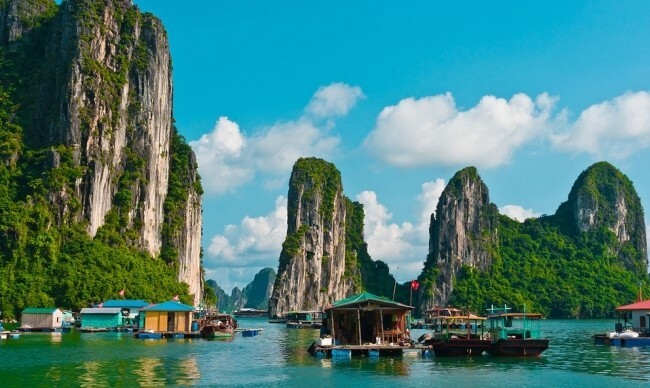 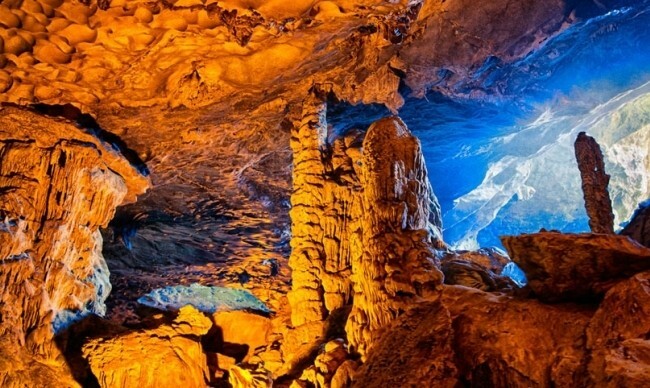 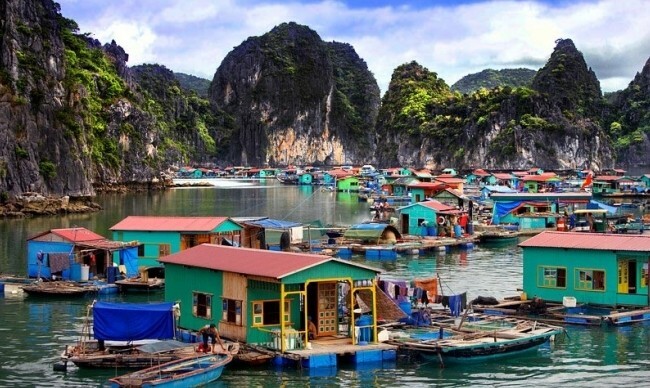 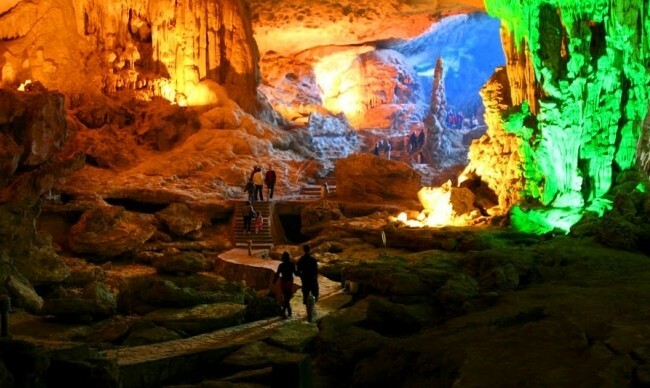 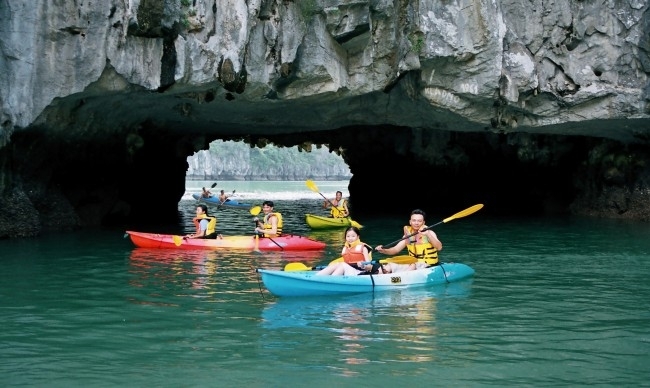 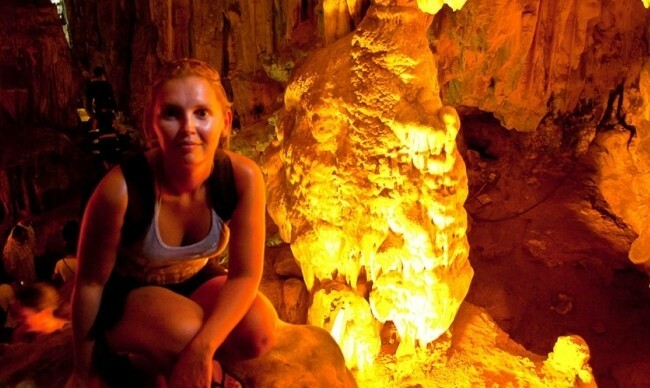 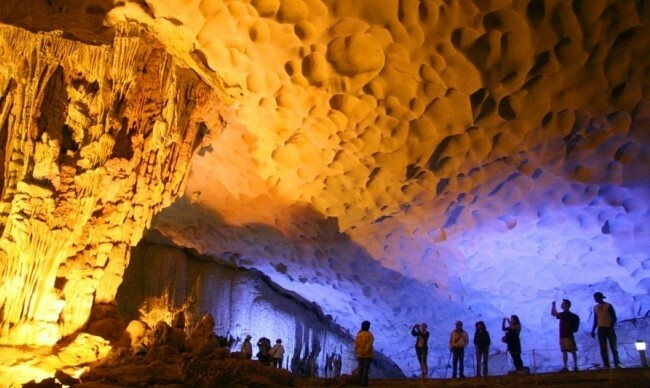 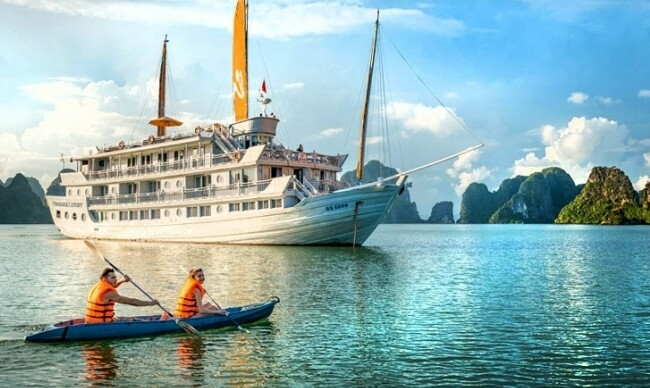 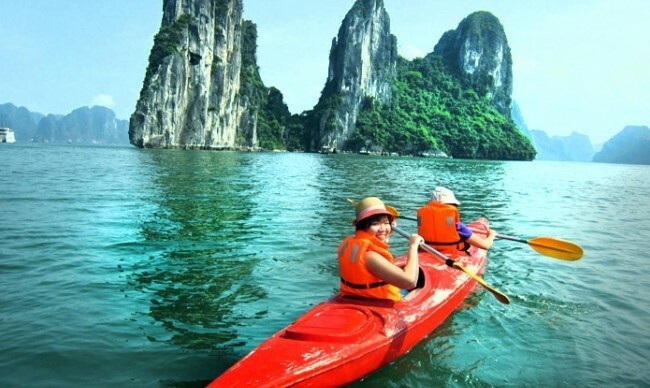 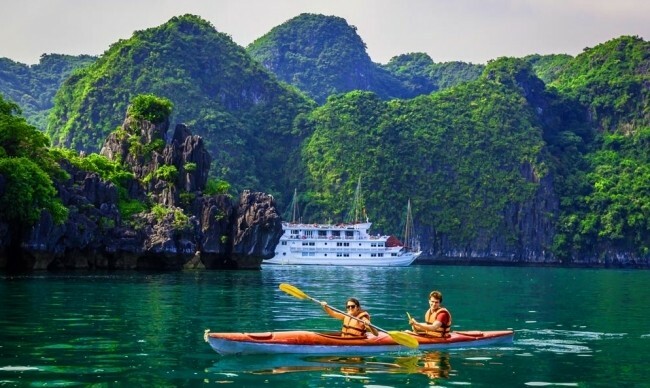 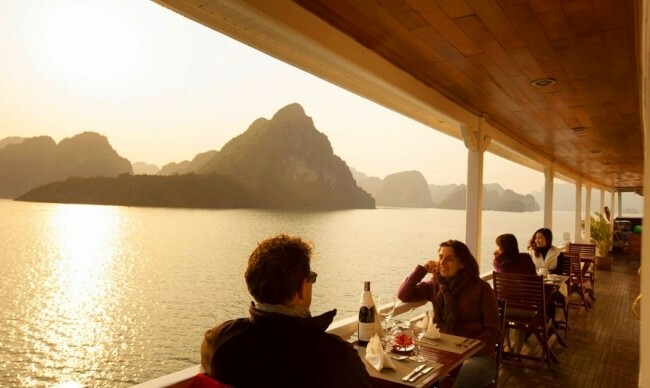 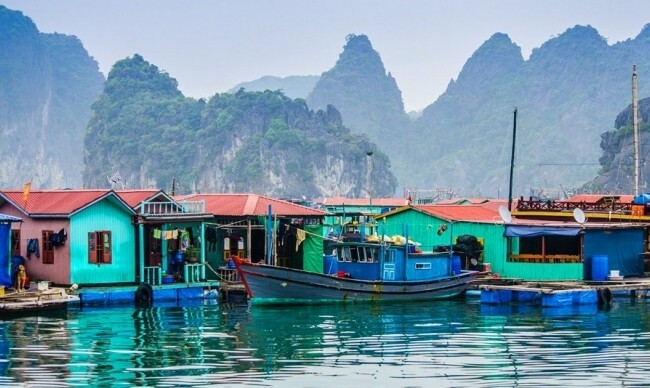 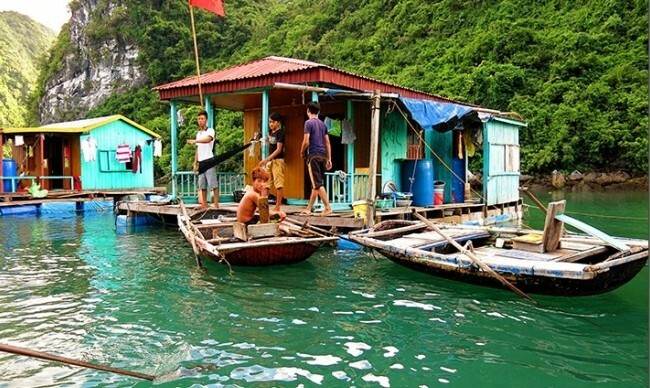 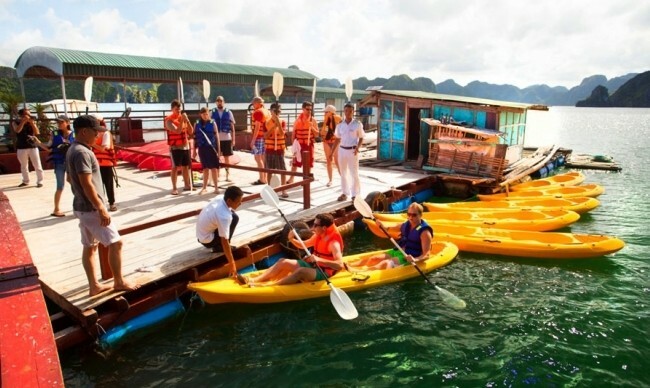 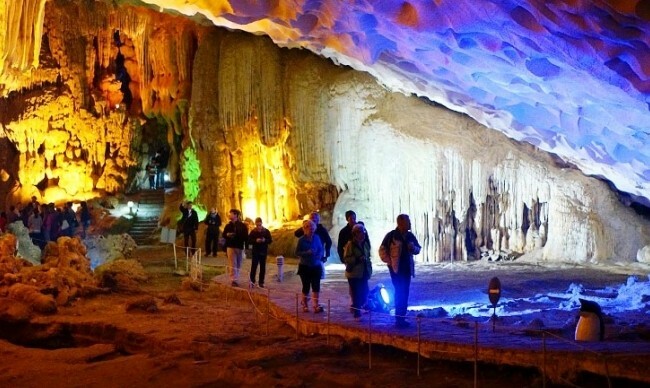 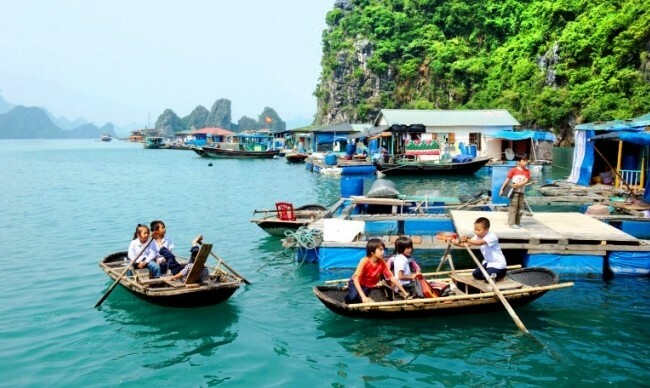 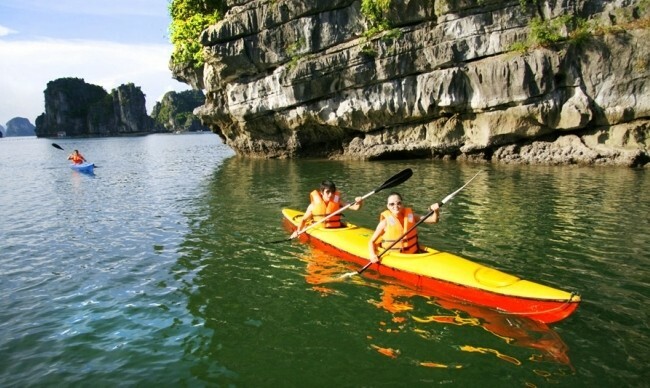 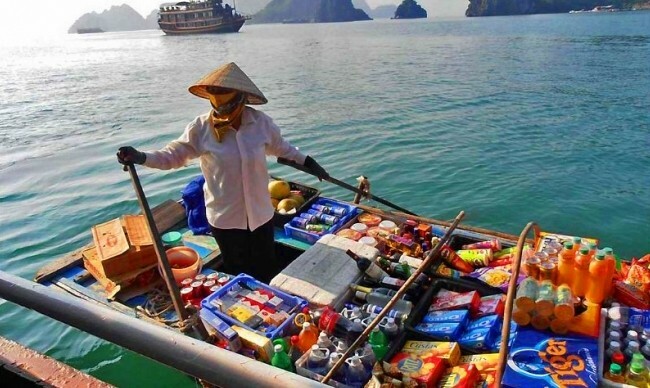 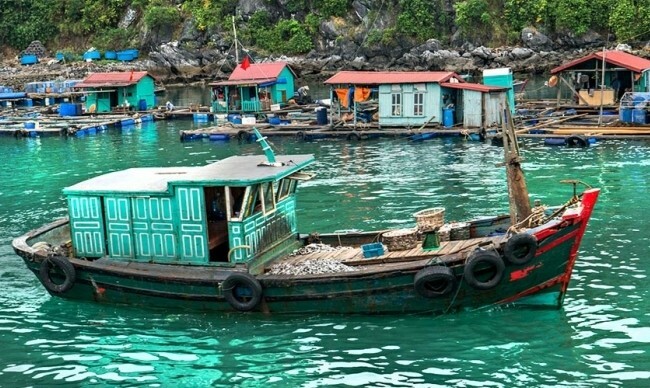 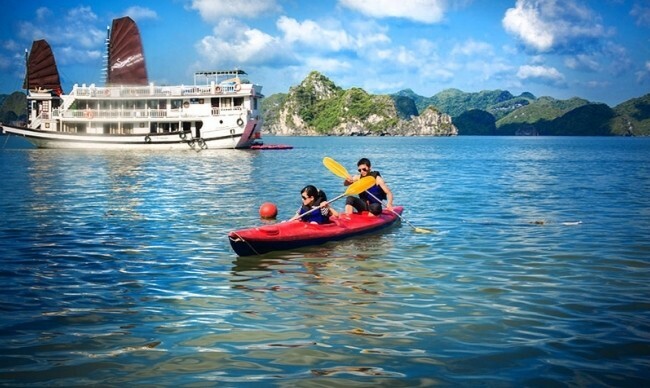 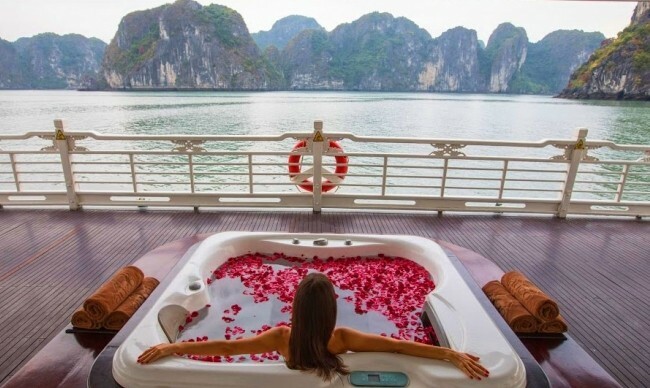 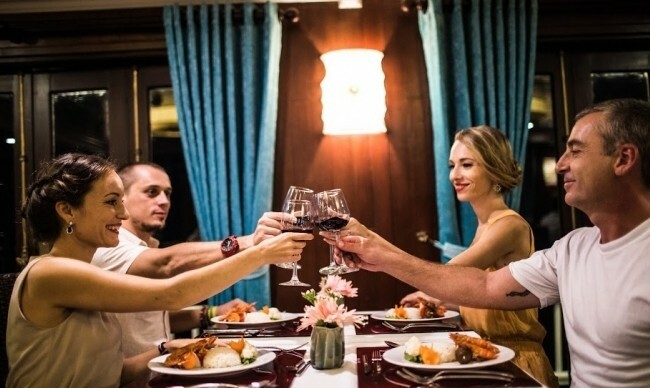 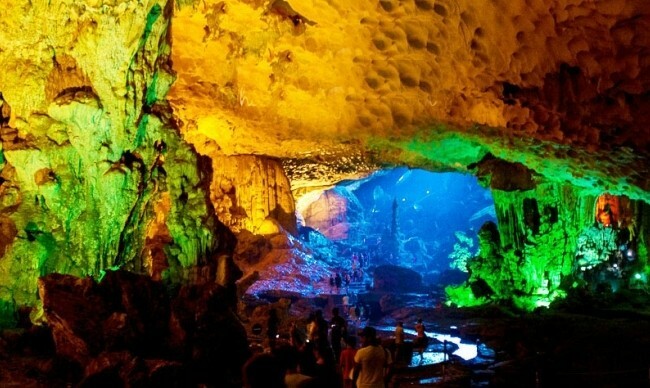 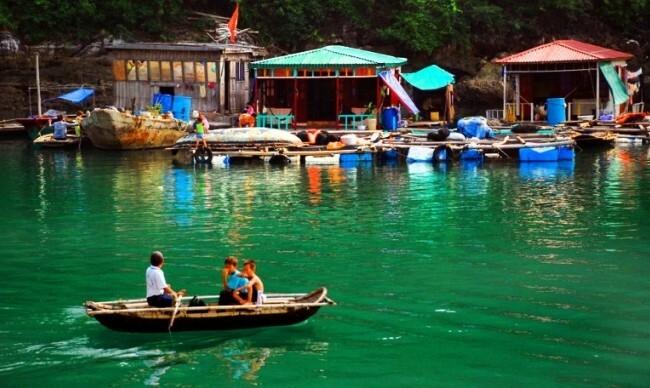 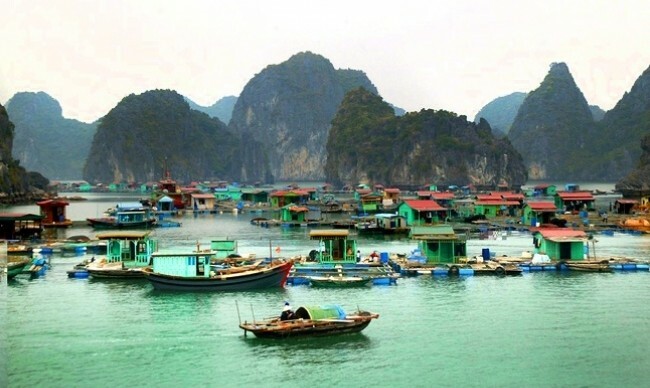 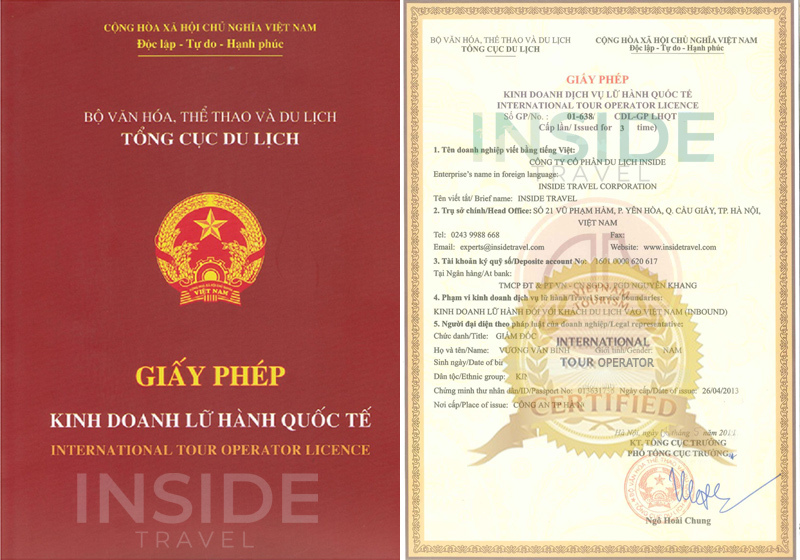 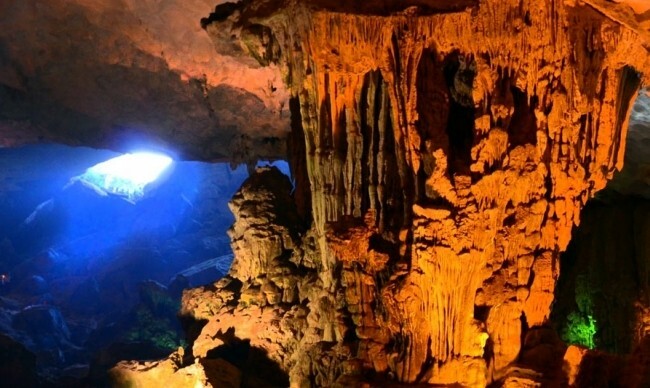 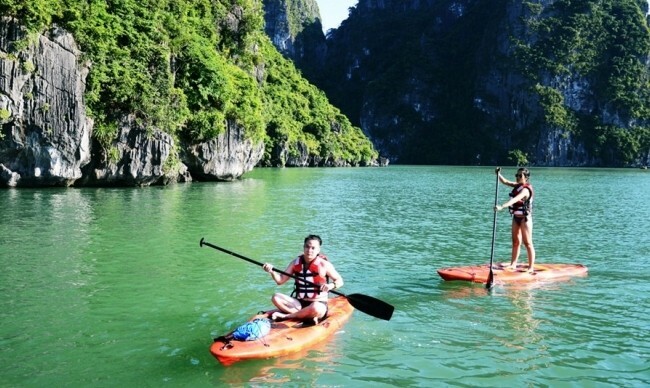 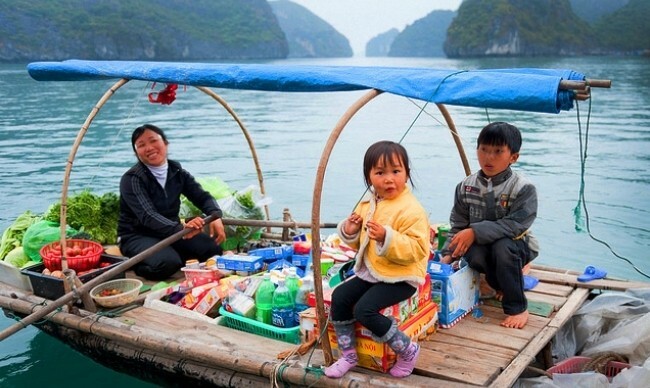 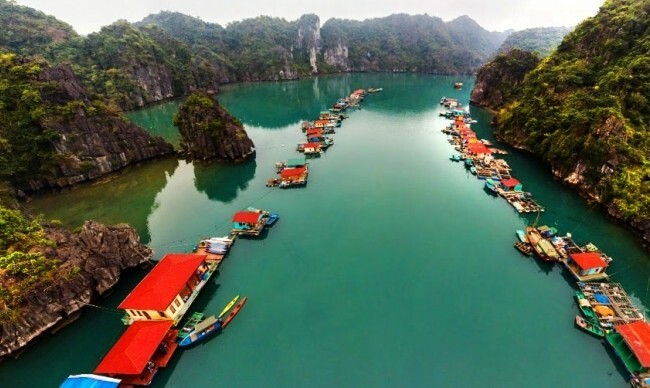 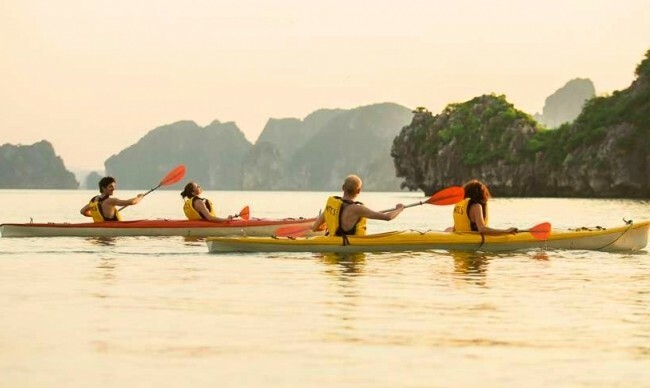 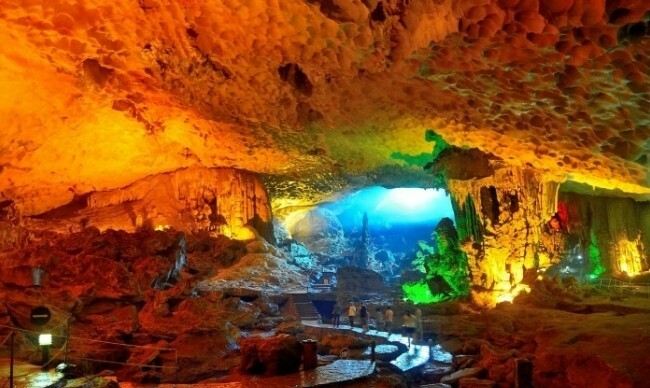 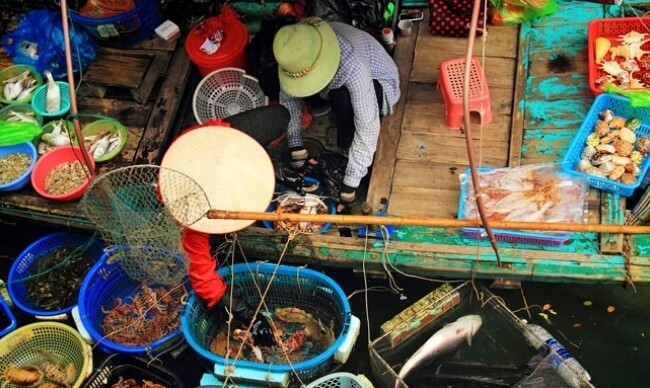 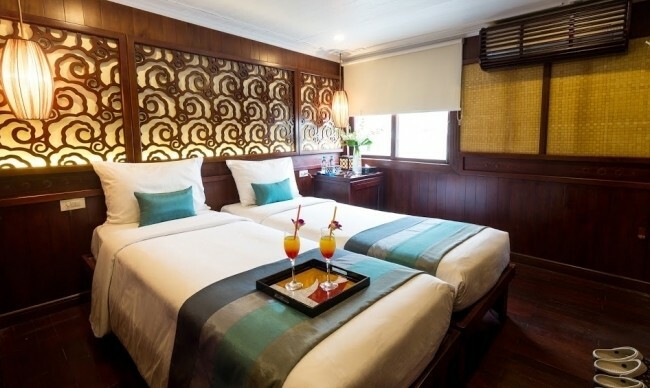 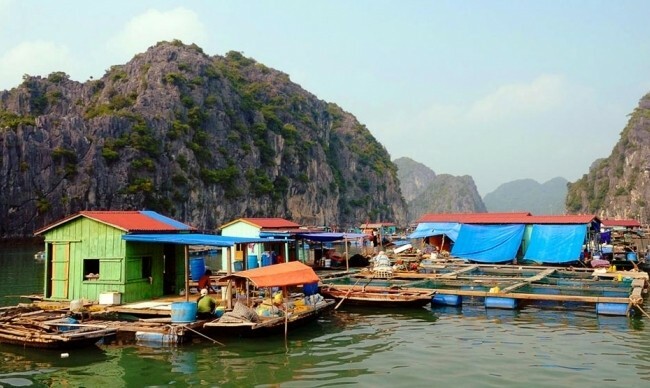 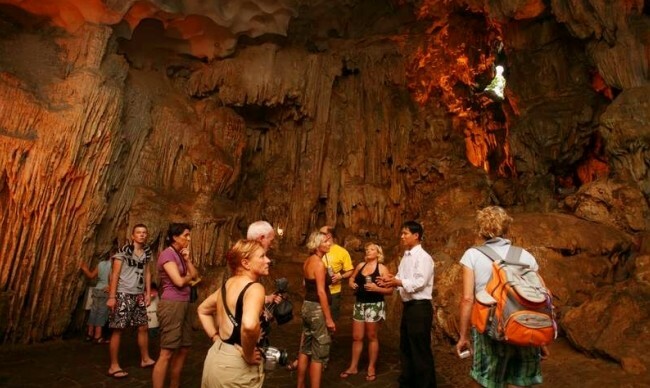 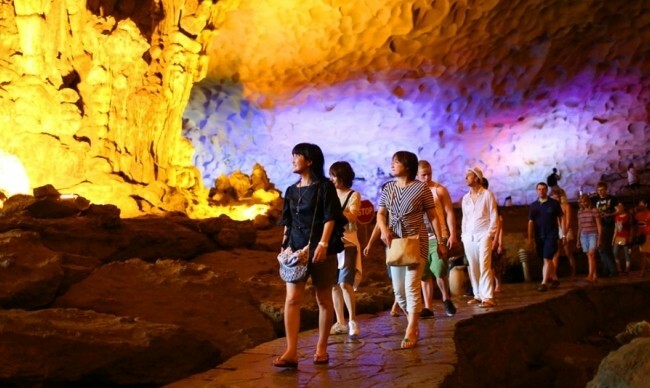 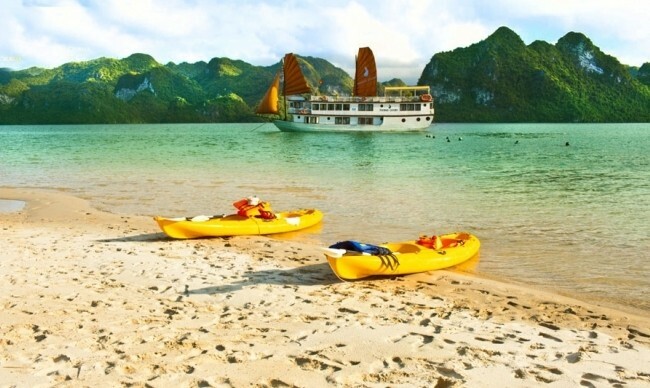 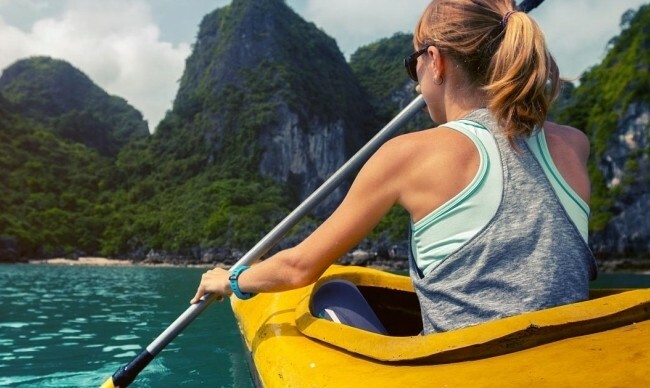 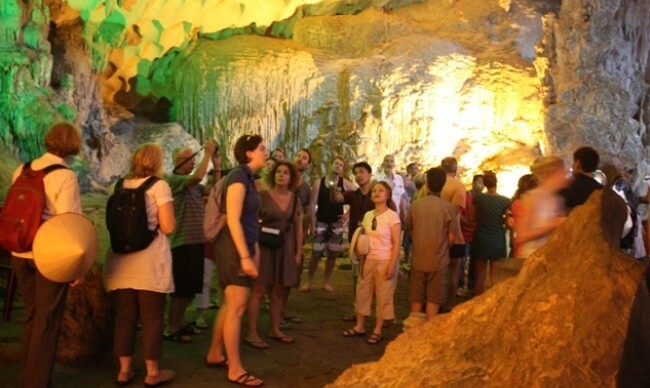 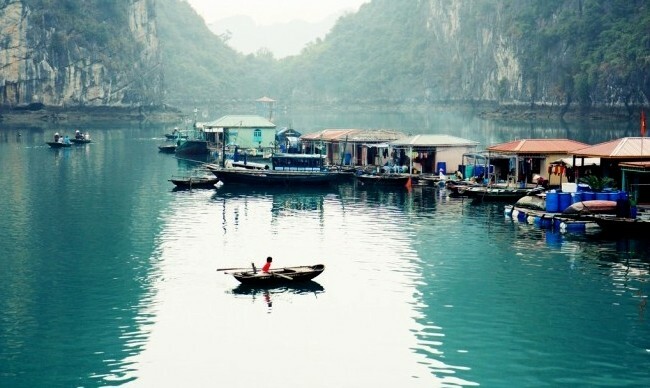 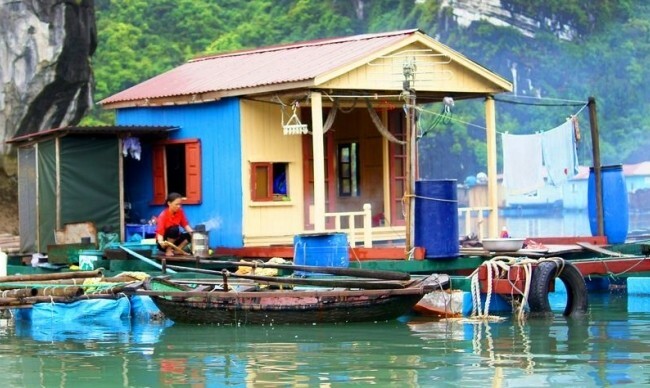 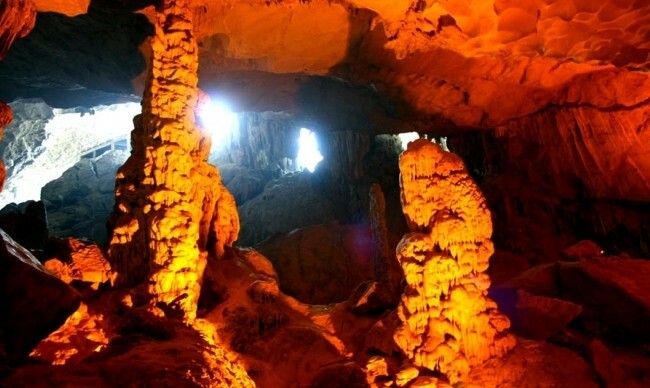 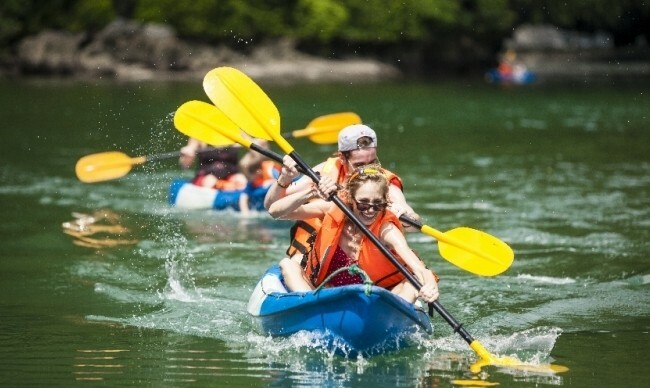 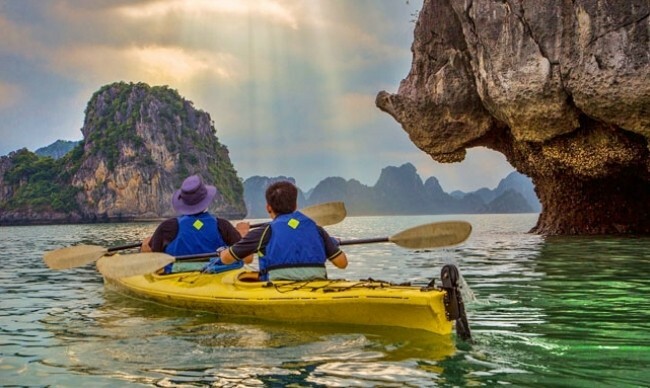 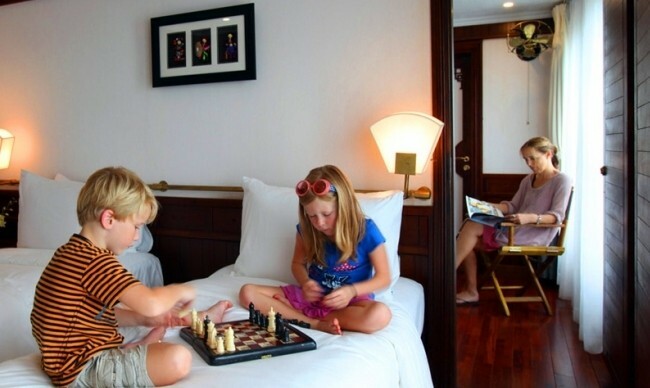 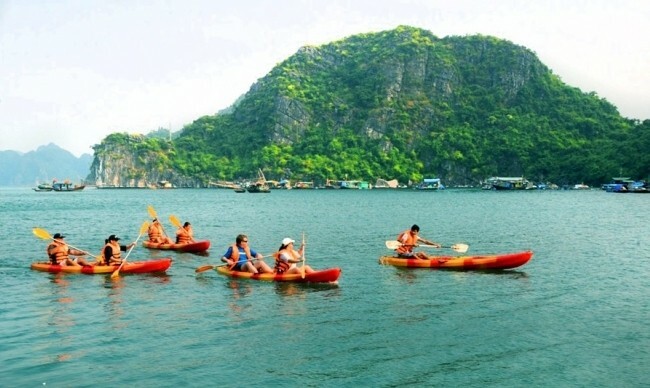 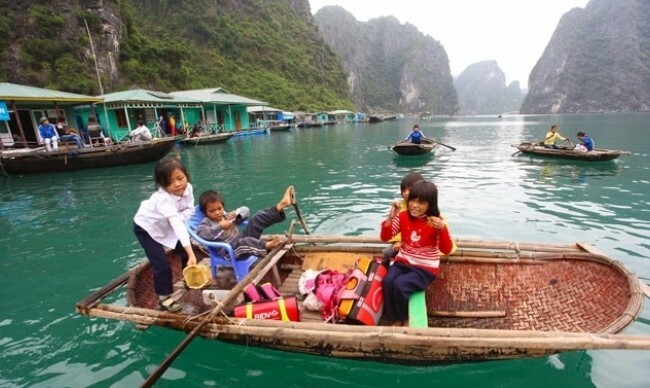 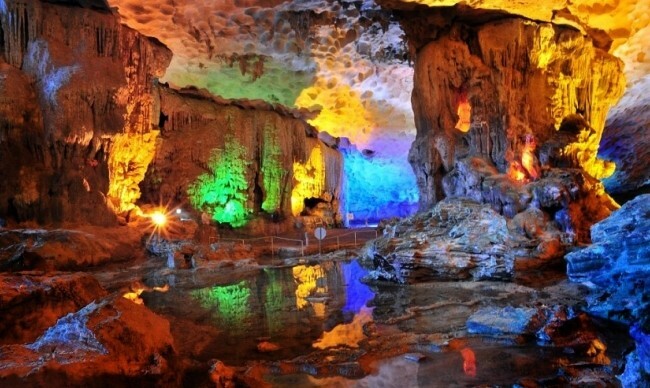 Belonging to Halong Bay but close to the border of Bai Tu Long Bay and Lan Ha Bay, the Dark and Bright caves are an enclosed group of islands, surrounded by lime-stone mountains. 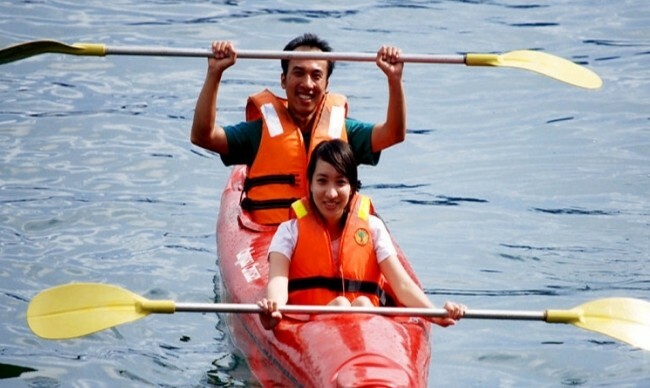 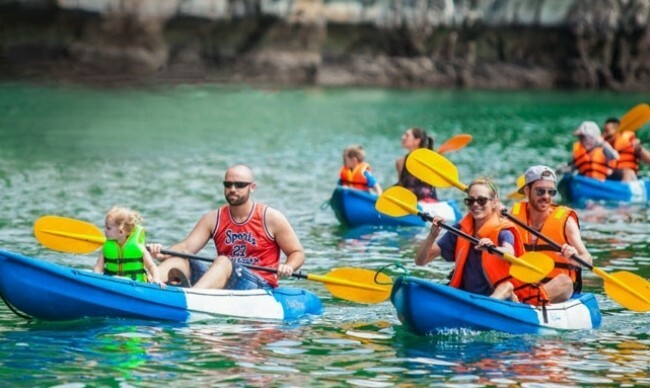 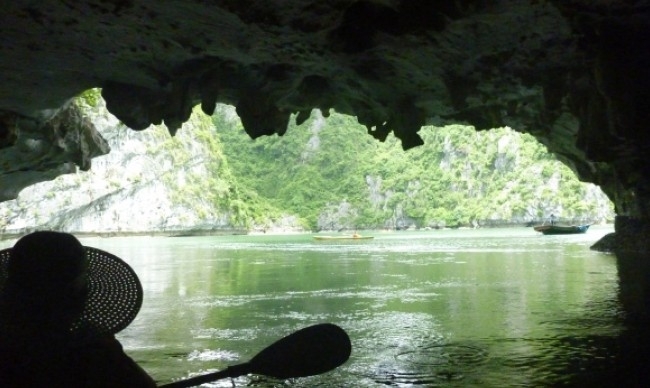 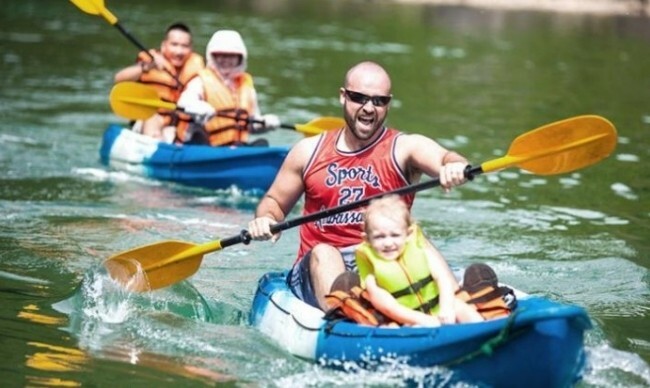 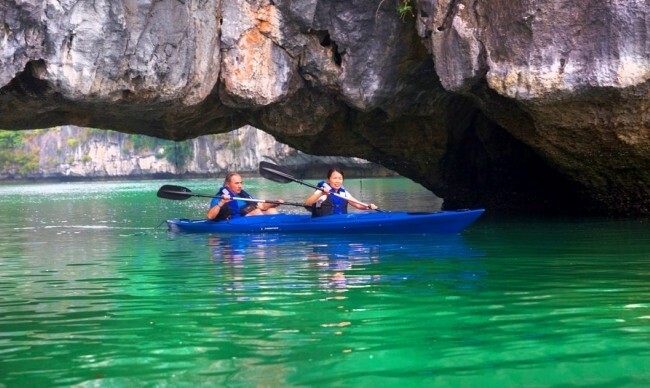 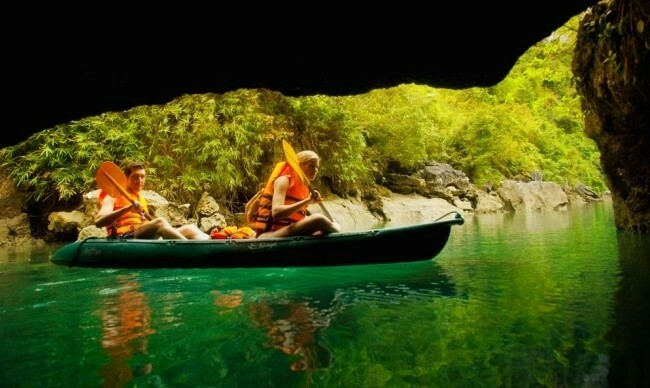 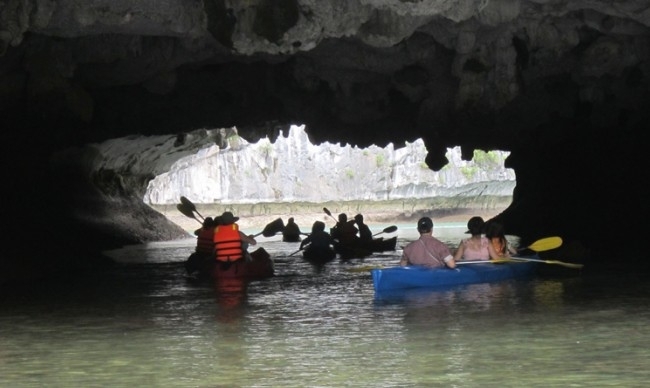 Discoverning the caves, visitors will take a bamboo boat to travel through an entrance leading to the grotto right at the water level. 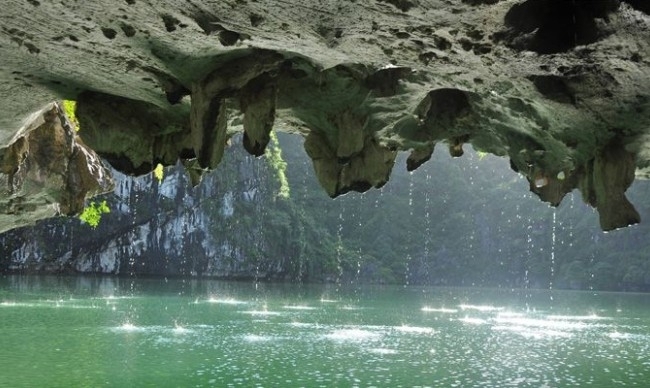 Passing through this natural entrance, we see a tranquil round lake, surrounded by luxuriant trees and different sized stone walls. 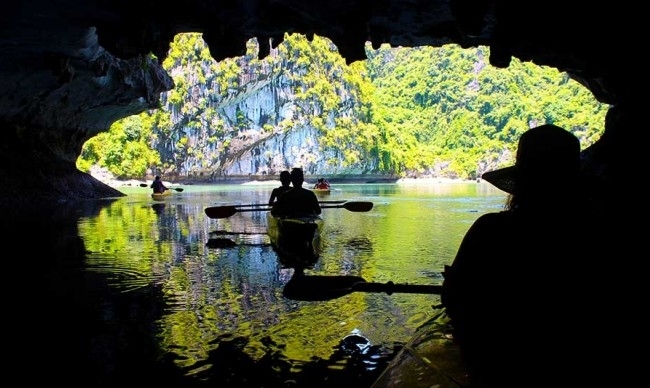 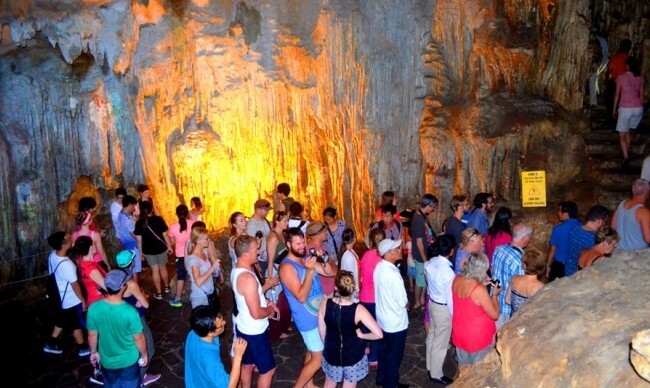 The caves are the perfect combination of lime-stone mountains, which the sea makes a unique site to visit and a perfect place for photo hunts.